MOYO Concept, a Portuguese design company, based in Oporto, specialized in Architecture, Interior Design and Tailor-made Design Furniture, presented its latest edition of the MOYO Design brand – The FADO leather sofa. The FADO was launched to honor of the fact that FADO was recognized as UNESCO - as World’s Intangible Cultural Heritage. 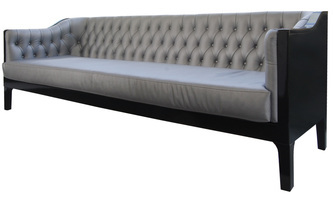 This contemporary piece of furniture is characterized by the blending of traditional and modern design. This new FADO was Designed by Claudia Ferreira, the company´s head of design. 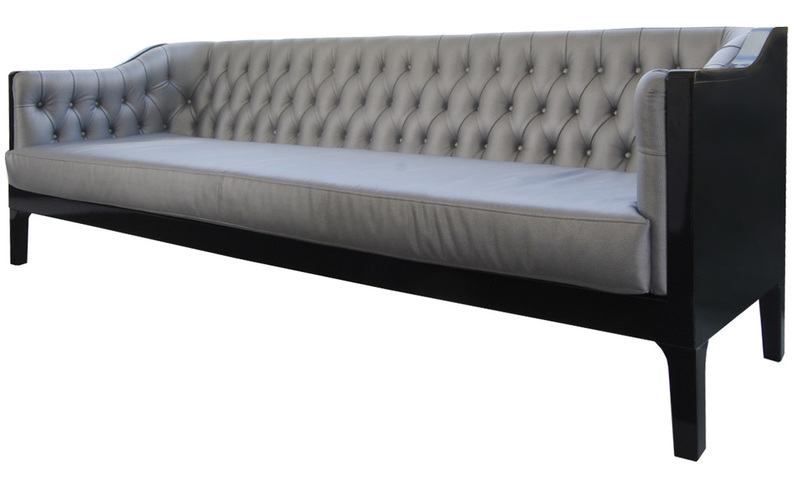 This sofa is hand crafted with carefully selected materials. The FADO has a wooden frame with rounded edges, with lacquer finish in piano black high gloss. 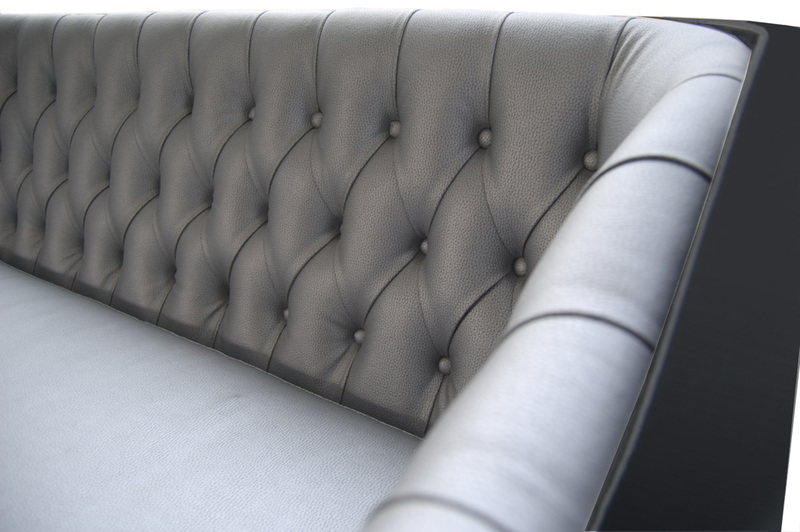 The cushions are furnished with silver grey leather with capitoné effect (Chesterfield effect) in order to enhance the mix of classic sophistication with a contemporary twist. The MOYO FADO is 2.10m wide 75cm high and 75cm in depth, with the ability to be total customized in terms of size, structure color and finishing’s. The MOYO brand is characterized in being very versatile, with an extremely flexible production unit. This strength makes it possible of the MOYO brand to be very focused in providing high quality, unique and sophisticated design furniture which can be enormously customized, in terms of design and features. 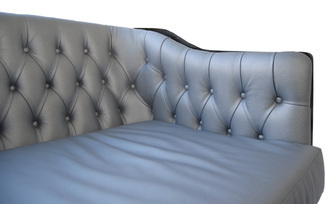 1 – Create and produce of a full range of original design furniture, which can be customized with any upgrades in order to adapt to the different demands of each customer in order to make each piece exclusive and unique. MOYO Design is a Portuguese brand, dedicated in providing custom designed superior quality and high creativity furniture. The brand MOYO design is focused on two distinctive pillars. Original furniture design under the MOYO brand that can be customized with infinite choices finishes such size, as type of wood, color lacquer, fabrics or leather and in terms of . This ensures that the customer has unique and original designer furniture will not be found elsewhere.